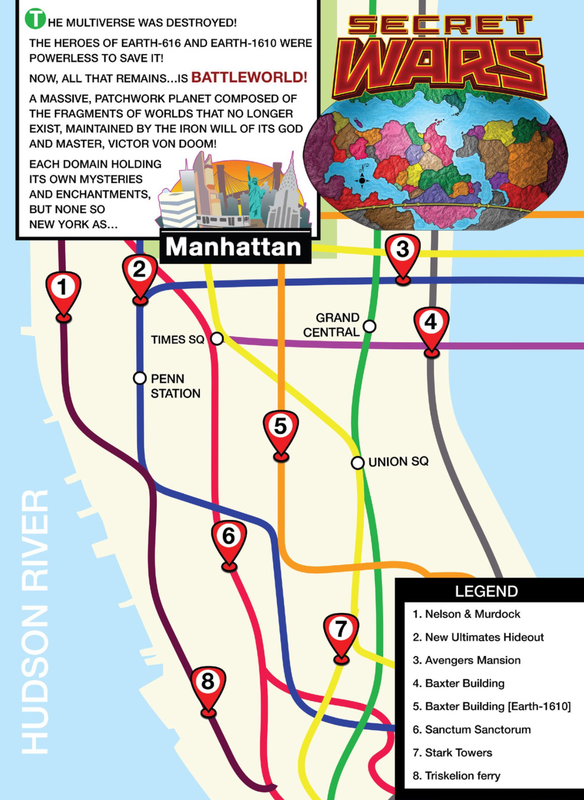 If you are reading and thoroughly engrossed in Secret Wars like I am, keeping up with the locations of all the characters and where they are within battleworld can be kind of tricky. 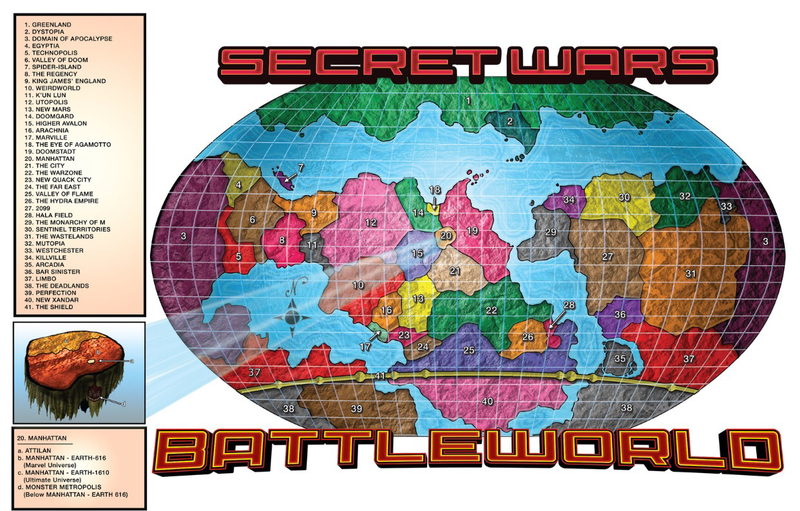 So this is the Battleworld map that is featured at the end of Secret Wars #2 complete with legend to show the layout of the entire world. I’ll keep it updated and near the top as new issues come out and provide links next to the locations (underneath the maps) that show where the issues take place in relation to each other. I’ll do the best I can because some issues take place in multiple locations (Like issue #2 which starts in Doomgard, then moves to Bar Sinister, then moves to The Shield, then moves to an undisclosed location, only known as “the Schism”) or reference multiple locations but don’t (or haven’t) show them(yet). I hope you enjoy Secret Wars as much as I do! Hala Field – Battleworld: Captain Marvel and the Carol Corps.